Producing your own food, living off the land. Is that all part of the American mystique? Even if you do not want to go back to nature completely, planting a little vegetable garden can satisfy your desire to till the soil. Even the most brown-thumbed among us can bring up a little food for the dinner table if they follow some basics. Get your gear together. A few things you will need: a hoe, gardening gloves, a spade or spading fork, a steel bow rake, a trowel, a wheelbarrow, a garden hose long enough to water all parts of the garden and a wide-brimmed hat. Fight off the urge to buy cheap supplies and spend the money for quality tools. If you have the opportunity, choose your gardening plot with sunlight in mind. Most vegetable plants need at least six hours of direct sunlight daily to produce flowers that in turn produce fruit. If you have no available area that is not shaded by trees or buildings, you can plant a small plot of leafy vegetables, which do not need as much light. If your deck or patio is the only area with full sun much of the day, plant a container garden there. Another consideration is adequate drainage, which is essential. If your area does not naturally have this attribute, you can improve it by installing agricultural tile or digging drainage ditches. Your chosen area should not have low patches where rainwater collects and stands. Regardless of the type of soil you have, you can improve it to support a vegetable garden. 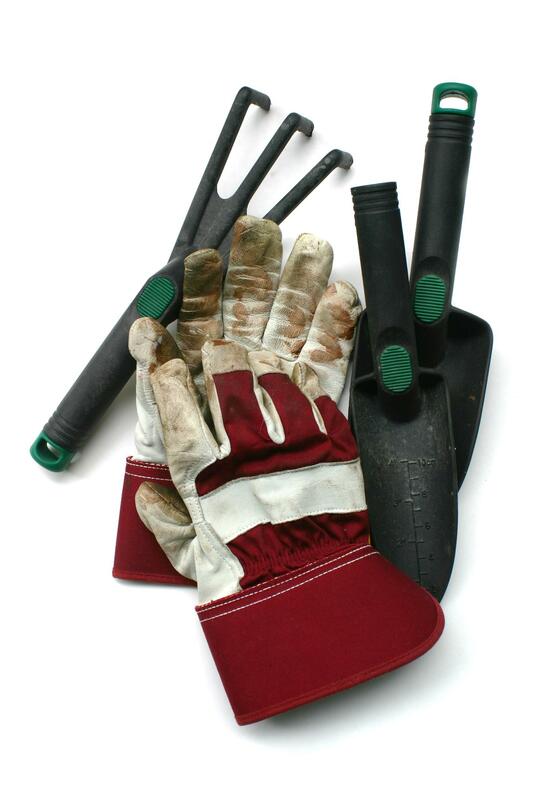 By testing the soil with a hardware store kit, you can figure out what it needs before you plant, whether it is organic material like grass clippings, compost or manure, or commercial fertilizer. Your soil may need to be tilled with a mechanical tiller to mix in organic matter and kill weeds before you plant. Visit your local nursery for recommendations. Seeds can be sown directly into your garden plot or germinated and started indoors in containers. The best method for success can be found on the back of the seed package. Follow directions to the letter for best results. If you buy transplants (many gardeners do this with tomato plants), select ones that are about as tall as they are wide, dark green in color, vigorously growing, and free of spots or lesions on the leaves which indicate disease problems. Transplants of this description usually give greater yields than larger and older transplants. If you get less than one inch of rain per week, you will need to water your vegetables one inch of water every week. Unlike with lawn grass, do not wait until your plants start to wilt before you water them – remember that these plants are working to hard to produce food, so you will want to work equally hard to cultivate and protect them. Water during the morning using a drip irrigation hose to keep water off the foliage. Adding mulch around your plants will help control weeds, prevent moisture loss and discourage pests. In order for vegetables to be tasty and tender as possible, they must grow quickly. Read the back of the seed packet for recommendations on fertilizing to produce as much fruit as quickly as possible. Remember that the more nitrogen present in fertilizer, the more foliage your plants will produce. This is of course good for leafy vegetables, but cuts down on fruit production in other vegetable plants. For this reason you will want to use the proper mixture or nutrients in your fertilizer. Thinning your plants will increase fruit growth as well. By cutting away excess foliage, you give the plant more resources to spend on the fruit. When thinning larger plants, use a knife to cut the stem at ground level, which will not damage root systems of the remaining vegetables. Many people will not plant a vegetable garden simply because they do not want to weed it. But if you do it early enough and often enough, weeds will not be a problem. Remember that weeds rob your vegetables of water and nutrients. When you see a weed, immediately pull it up by the roots. Again, using mulch will inhibit weed growth and germination. If, for instance, you go away on vacation and the weeds take over, use the square foot method to control them – weed at least one square foot of your garden each day, applying mulch immediately afterwards on the weeded area. Before long, your garden will be virtually weed-free. Use weed and pest control chemicals wisely, remembering that pesticides kill the good bugs along with the bad bugs. Always follow package directions carefully.